The Lazer Krypton KR1 Glasses are a decent pair of sunnies with Carl Zeiss lenses, a strong construction and good comfort features. Despite what Lazer says about the fit, they are quite wide, so won't suit all faces. As with all glasses, the most important elements are the lenses. These come with three sets: one yellow, one clear and one with black tint. The black lenses are provided by Carl Zeiss and are very effective both in terms of protection and a distortionless view; Lazer claims they have 20% more distortion-free vision using its Panorama Lens Technology compared to 'standard decentered lenses used by most other sport optics brands'. That's not something I can confirm, but they certainly seem well made. Changing the lenses is simply done by just pushing through the frame and pushing the other lens into place from the outside. It takes around a minute in total (including cleaning the lenses of finger prints), which is fairly good. Both the clear and yellow lenses (neither Carl Zeiss) work well in lower light conditions. The frames don't impinge too much on your peripheral vision, either, although obviously slightly more than half frame options. They are also available with photochromatic lenses. 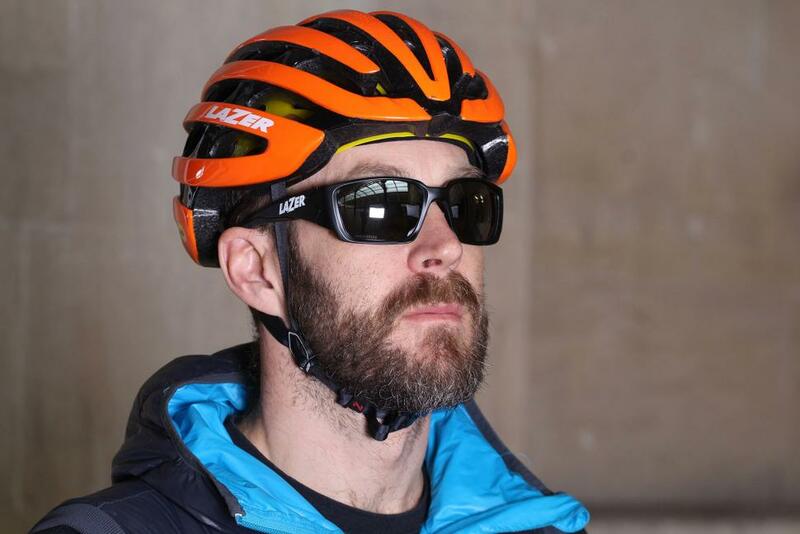 The glasses sit on the head well thanks to the Ultragrip nose and tips used by Lazer. They even come with a spare set for the nosepiece, which means that if you lose one or they get worn out they can be simply changed over. They sit comfortably on the nose and ears, even when you're sweaty during a long ride, and I didn't have any kind of rubbing or discomfort at all. Despite Lazer claiming that these have a slightly narrow fit, I found them quite wide (it's not me in the pics). I don't have a particularly small head, but I could fit my finger between the arms and my temples. It isn't a criticism, but if you can it's definitely worth trying them on before buying. The glasses seem well made and the arms have a nice stiff movement that suggests they are likely to last a long time. The arms are also thick, and despite them falling off my helmet (no fault of the glasses or helmet, just the incompetence of the rider), they remained impressively intact with hardly a scratch on them. Despite being full frame, the lenses are unvented, which does lead to a bit of fogging when stopped at traffic lights or on long, slow climbs, but not as badly as others I've worn, and they clear fairly quickly once the speed picks up again. They come with an RRP of £74.99, which I reckon is about right. The Carl Zeiss lenses certainly go some way to justifying this price, as does the quality of construction. Overall these glasses performed well, and the Carl Zeiss lenses in particular worked very effectively. They might be too wide for many people, and a couple of lens vents wouldn't go amiss, but I didn't find either a huge issue and was generally impressed. Distributor Madison has told road.cc there's a stock issue with some colours, and the black frame on test should be available towards the end of July. A set of full frame sunglasses with Carl Zeiss lenses designed to improve your field of undistorted vision. I would say that the lenses work well and are very clear and undistorted, but I wouldn't agree with the 'narrow fit' that Lazer claims. Well made with thick arms that have a nice stiff movement. Performed well: limited fogging, good protection and clear vision. Because of the sturdy construction they are likely to be durable. They fell off the helmet without any kind of real damage, which says a fair amount by itself. There was a bit of a scratch on the lens, but nothing that impeded my vision. 32g is fine, and I didn't find them slipping down my nose. Comfortable nosepiece and arms meant I could wear them for hours without issue. About where I would expect them to be, especially with the Carl Zeiss lenses. Performed well, keeping out the wind and debris nicely, didn't steam up too much and the lenses were nice and clear to see through. How comfortably they sat on my head. The width – a bit too wide for my head. Would you consider buying the product? No – purely because of their width. Would you recommend the product to a friend? Yes – if their head was wider than mine. A decent pair of glasses that performed well throughout the test. They seem durable and well made, but will be a touch too wide for many. Some venting would be good, too. 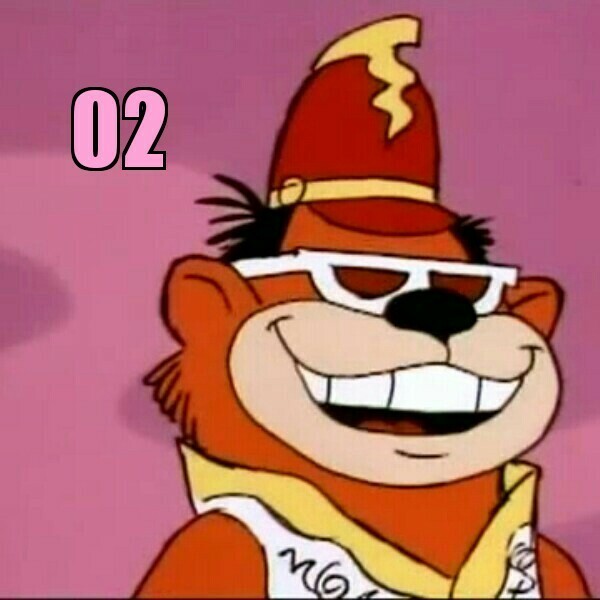 Blimey, Bingo from The Banana Splits has let himself go.